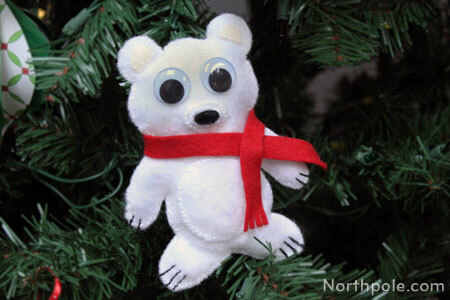 This cute white bear is sure to stand out on any Christmas tree! Bart handsomely sports a red scarf, but try adjusting his accessories for fun. 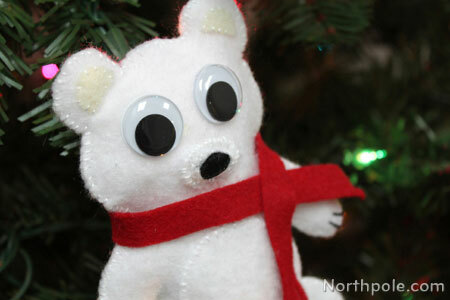 After you’ve sewn your own soft Bart, read about Bart’s adventure at the North Pole here. Print the template and cut out pattern pieces. Cut a piece of black floss and sew 2 or 3 lines on each paw of piece #1. 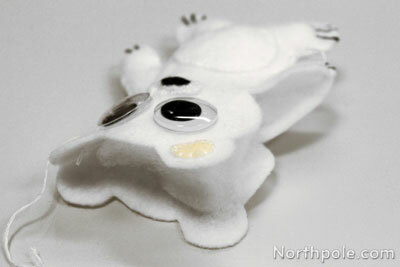 Cut a piece of white floss and sew the inner ears (pieces #3 and #4) onto piece #1. Place piece #7 in the middle of piece #1 and begin sewing in place using white floss. Once belly is sewn about halfway, stuff belly with Poly-fil®. Continue sewing until belly is completely sewn. Cut a piece of black floss and sew #5 onto #6. Place eyes on face, but do not glue yet. Place #6�(the snout) on top of piece #1 using the eyes to help you decide upon the placement. Set aside eyes. Sew piece #6 onto #1 using white floss. Glue eyes in place and let dry. 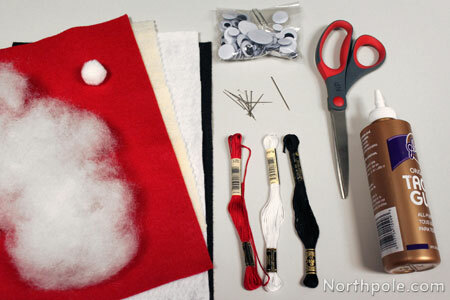 Glue white pompom on the lower half of piece #2 and let dry. This is the tail. Lay piece #1 and #2 on top of each other. 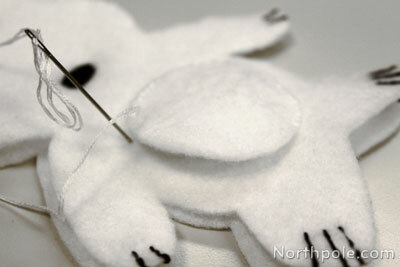 Cut a strand of white floss and begin sewing around the bear. After sewing about 3/4 of the way around, stop sewing and fill bear with Poly-fil®. Take the red scarf and wrap around bear’s neck. 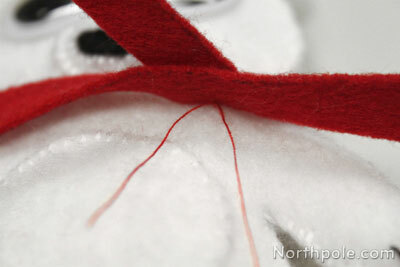 Use needle and red thread to secure scarf in place.�Trim the thread after sewing a stitch. Instead of Poly-fil®, you can also use cotton balls, felt/fabric scraps, or batting. 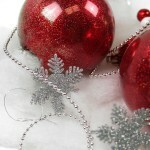 When using embroidery floss, separate the strand in half so that there are 3 individual threads in each half. Cut 2 pieces of #6�and stack together to make the nose look more 3D.